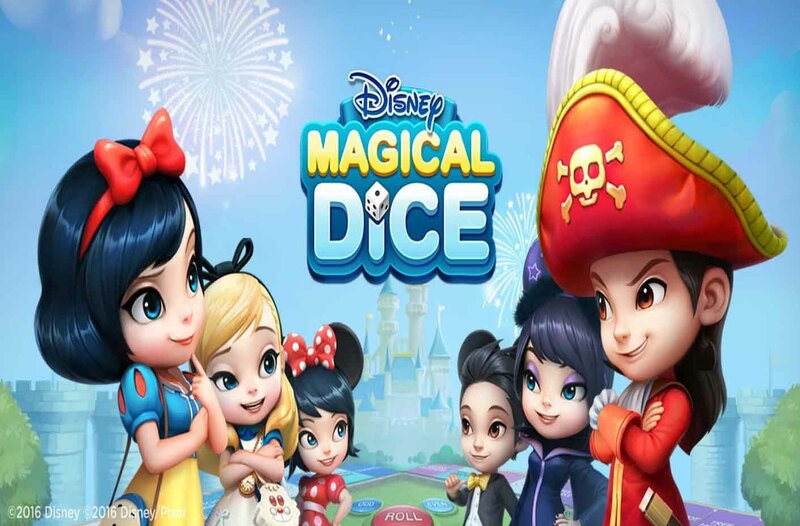 Disney Magical Dice - Join a cast of Disney Characters in Disney Magical Dice! Embark on an epic adventure! COLLECT cards and ROLL the magic dice to journey across fantastic Disney worlds! CREATE your avatar and choose from a variety of Classic Disney costumes! This property trading board game will allow you to explore your dream Disney world. Play with your friends anywhere, anytime! * Disney landmarks: Cinderella castle, Peter Pan's Jolly Roger, Daisy's garden... collect them all! * Costume cards for your avatars: Cinderella, Maleficent, Snow White, Aladdin, Peter Pan, Woody, Buzz, Rapunzel, and more! The more you play the more costume cards you get! * Card collection and power-ups: expand your collection of Disney costume card avatars and strengthen them through power-ups and fusion to be the best at the game! * Global competition via rankings: COMPETE with international players as well as your friends. EARN rewards for winning! Please note! Disney Magical Dice is free to play. However, some game items can also be purchased for real money. If you do not wish to use this feature, you can simply disable in-app purchases in your device's settings. A network connection is required to play.